Five months after its first teased a 5G smartphone, LG has today announced that its upcoming device will make its international debut at MWC 2019 next month. To tide us over till then, the South Korean brand has revealed some major details about the smartphone. Proving to be nothing less than a flagship device, the offering will arrive powered by the recently-announced Qualcomm Snapdragon 855. This chip brings performance boosts of up to 45% over last year’s Snapdragon 845 and is also much more efficient thanks to its improved manufacturing process. While on the topic of efficiency, LG has confirmed that a 4,000mAh battery has been included inside the device which means battery life should remain largely unaffected despite the increased consumption that comes with 5G. In fact, LG highlighted the fact that the battery is over 20% larger than the 3,300mAh cell found inside the LG V40 ThinQ. The final feature LG revealed about its upcoming device was related to its temperature. 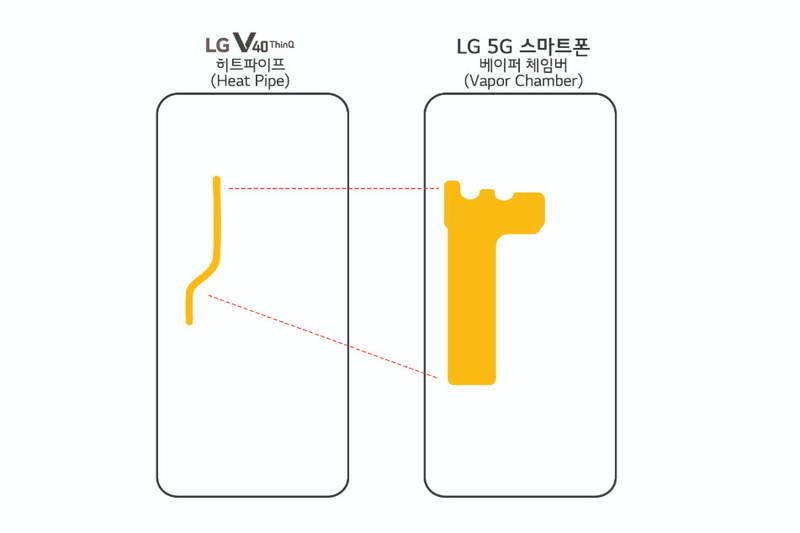 More specifically, the smartphone will feature a dedicated vapor chamber that is 2.7x larger than the heat pipe found inside the LG V40 ThinQ. Thus, overheating shouldn’t be a problem – current-gen 5G tech generates much higher temperatures. Unfortunately, details about the smartphone’s design are yet to be shared. 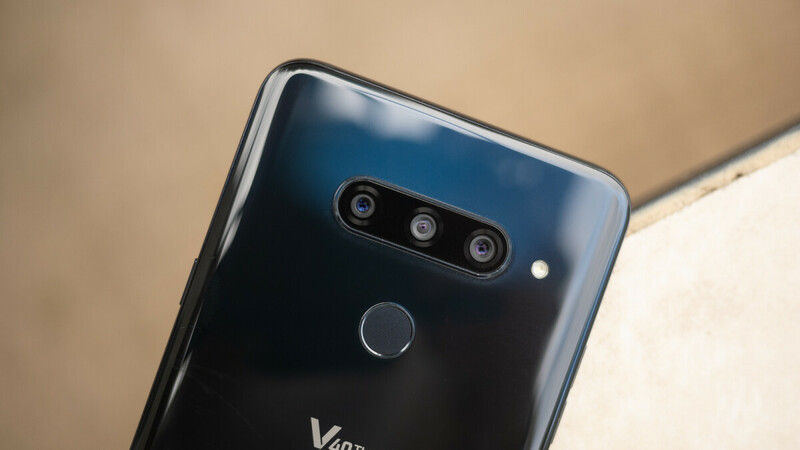 However, the company’s multiple comparisons to the LG V40 ThinQ suggest that perhaps the new device is a modified version of the latter. In any case, the implementation of a larger battery and new heat chamber indicate LG has fully dealt with the primary concerns associated with 5G smartphones. LG’s first 5G smartphone is expected to be a Sprint exclusive upon launch later this year in the US. Throughout Europe, though, the company is collaborating with a variety of operators in order to ensure availability. Naturally, not everyone will have access to LG’s 5G smartphone and some may not even be interested. Because of this, LG is expected to announce its 4G LTE-compatible G8 ThinQ flagship at MWC 2019 too. Details about this device remain relatively scarce at the minute, especially since LG denied the veracity of recent renders, but rumors do point towards a possible secondary display that could be fitted via an external case. Sweet specs. Btw, does anyone here using LG confirm if all the bootloop issues have been taken care of in recent phones? I've had a G6 for going on close to 2 years and so far no boot loop issues. This is better than Samsung. Goodluck LG. In typical LG fashion the 5G phone will be announced in February and available to buy in August. i am using lg v30. so far no issues. amazing phone. No notch and i'll try it out. I had a good experience with the lg v30. New camera please! The ones from the G7 and V40 are far worse than the competition!